Often promising a quick boost, an "energy drink" is generally defined as a drink which contains ingredients claimed to enhance mental and physical performance- in some way or another. Energy drinks have soared in popularity since the 1990’s and there are many, many readily available brands. Caffeine is natural and the mostly widely consumed stimulant in the world, many consumers believe it’s a worry-free source of immediate energy with absolutely no side effects. This couldn’t be further from the truth. A concern with the use of the herbs in these drinks is their source. The manufacturers of energy drinks are not required to list whether or not the herbs they use have been sprayed with toxic pesticides, irradiated or watered with contaminated water supplies. 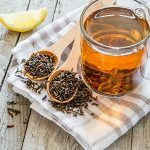 There is no way of knowing what other toxins are contained in these drinks and whether or not these herbs will have a negative effect. How Popular are Energy Drinks? Based on the 2010 National Health Interview Survey data, the CDC reported that one in three adults consumed an energy drink within the past week, 21% had one more than once in the last week, and 11% consumed more than three energy drinks per week. It raises the question, what’s going on in our lives and personal health for us to be so reliant on a constant stream of turbo juice? Do Energy Drinks Enhance Cognitive Performance? Do Energy Drinks Enhance Athletic Performance? Consumption of energy drinks by both recreational and competitive athletes has increased dramatically in recent years. The Department of Exercise Science at Creighton University conducted a randomized, double-blind, crossover study to examine the effect of sugar-free Red Bull on one repetition bench press. Seventeen college-age, resistance-trained men participated and results suggested that the sugar-free Red Bull offered no improvement or enhancement of one repetition bench press performance. Do Energy Drinks Belong in the Workplace? 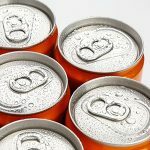 The University of Louisiana at Lafayette warns that the mental and physical effects of energy drinks (altered sleep patterns, arrhythmias) may be detrimental to workplace safety, especially in the healthcare field. Would you feel comfortable if your surgeon stepped out to down an energy drink before your surgery? When Walter Reed Army Institute of Research conducted research to analyze the connection between energy drink use and combat-operation sleep problems that occur among service members, the conclusions were not positive. Do You Really Need Energy Drinks? 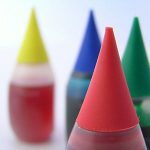 There are heavy, heavy marketing dollars at work to ensure your opinion of energy drinks is that they are so potent and effective they're one step away from being a pharmaceutical product. This is nothing more than hype. Based on the sugar and chemical content alone of most energy drinks (just check the ingredients label), I recommend avoiding them entirely. They’re bad for your teeth and only add more toxins to your body. Their dehydrating action decrease your body's internal water supply and natural detoxification processes. Where's the benefit? If you’re so constantly run down you need energy drinks to get you through the day, I recommend taking an inventory of your life to determine the root causes of your exhaustion. Are you getting enough sleep? Are you nutritionally deprived? What are you eating? Are you drinking enough water? Are you getting regular exercise? Fatigue will stem from being deficient with any one of those habits. Getting them in check can completely eliminate your desire for the “enhanced” and over-hyped soda pop that is the average energy drink. Get your nutrition in check, get your exercise routine in check, get your sleep in check, and if you're concerned about the effects of built up toxins, you can also cleanse your body. Reissig CJ, Strain EC, Griffiths RR. 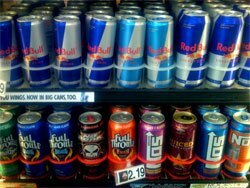 Caffeinated energy drinks--a growing problem. Drug Alcohol Depend. 2009 Jan 1;99(1-3):1-10. doi: 10.1016/j.drugalcdep.2008.08.001. Epub 2008 Sep 21. Review. Wolk BJ, Ganetsky M, Babu KM. Toxicity of energy drinks. Curr Opin Pediatr. 2012 Apr;24(2):243-51. doi: 10.1097/MOP.0b013e3283506827. Review. Szpak A, Allen D. A case of acute suicidality following excessive caffeine intake. J Psychopharmacol. 2012 Nov;26(11):1502-10. doi: 10.1177/0269881112442788. Epub 2012 Apr 2. Duchan E, Patel ND, Feucht C. Energy drinks: a review of use and safety for athletes. Phys Sportsmed. 2010 Jun;38(2):171-9. doi: 10.3810/psm.2010.06.1796. Park S, Onufrak S, Blanck HM, Sherry B. Characteristics associated with consumption of sports and energy drinks among US adults: National Health Interview Survey, 2010. J Acad Nutr Diet. 2013 Jan;113(1):112-9. doi: 10.1016/j.jand.2012.09.019. Wilhelm P, van Diepen MA, Nieuwenhuis L, Boulogne TL. [The effect of energy drinks on the cognitive performance of adolescents]. Tijdschr Psychiatr. 2013;55(1):57-62. Dutch. Eckerson JM, Bull AJ, Baechle TR, Fischer CA, O'Brien DC, Moore GA, Yee JC, Pulverenti TS. Acute Ingestion of Sugar-free Red Bull Energy Drink has no Effect on Upper Body Strength and Muscular Endurance in Resistance Trained Men. J Strength Cond Res. 2012 Dec 4. Gwacham N, Wagner DR. Acute effects of a caffeine-taurine energy drink on repeated sprint performance of American college football players. Int J Sport Nutr Exerc Metab. 2012 Apr;22(2):109-16. Epub 2012 Feb 15. 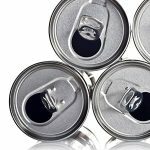 Guilbeau JR. Health risks of energy drinks: what nurses and consumers need to know. Nurs Womens Health. 2012 Oct-Nov;16(5):423-8. doi: 10.1111/j.1751-486X.2012.01766.x. Centers for Disease Control and Prevention (CDC). Energy drink consumption and its association with sleep problems among U.S. service members on a combat deployment - Afghanistan, 2010. MMWR Morb Mortal Wkly Rep. 2012 Nov 9;61(44):895-8.